Today, it’s very exciting to have Eleanor Parkia Sapia as a guest to interview. This is becoming my favorite part of blogging. It’s so much fun getting to know other authors. MR: Eleanor! It’s lovely of you to drop by! EPS: Hi Mary! Thanks so much for the opportunity to interview with you! I am honored and grateful to be featured on your super blog! MR: Well I’m happy to have you here. I’ve been looking forward to reading your book, A Decent Woman, for months now, and am so glad it’ll finally be available soon. How about we jump right into some questions, as I’m sure readers are anxious to learn more about you. When did you start writing or know you wanted to write more than just letters and grocery lists? EPS: I am a list maker from way back. I will admit to adding items previously accomplished to a list, just so I can cross them off! Must be a Virgo thing J. At age forty, during a difficult time in my life, I began writing poetry. Every poem I wrote was therapeutic in that I was able to sort stuff out, and hide behind symbolism without actually spelling out what was happening to me. Shortly after, I began keeping a journal; three pages written long-hand, thanks to Julia Cameron, author of The Artist’s Way. I still write something every day to keep the writing juices flowing. Through this daily exercise and discipline, I discovered a way to put words to my deepest feelings, thoughts, and emotions. You can’t lie to yourself when you journal; it’s all there in the rawest form. I am never without my journal; some entries are short stories and travel stories, complete with photographs of my many travels. In 2006, I wrote a long tribute honoring my 90-year old Puerto Rican grandmother. Several family members and my ex-husband told me I had a novel to write. That was the impetus for my novel, A Decent Woman, and I’ve never looked back. 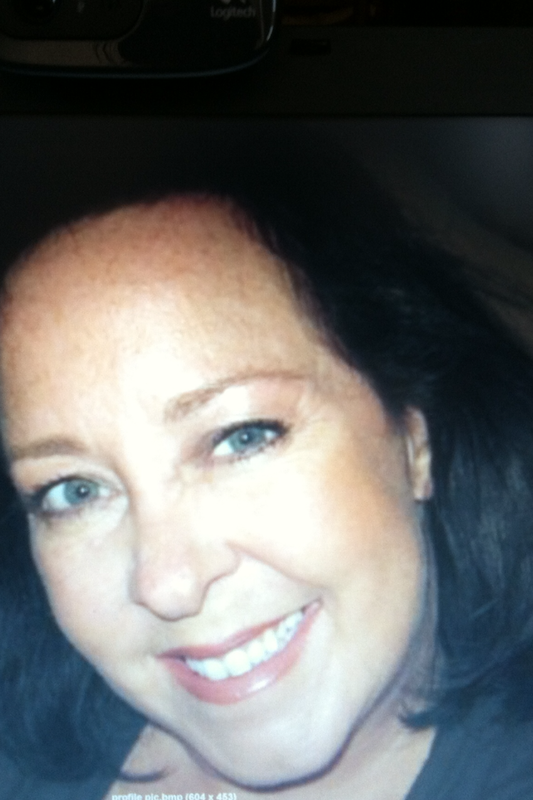 EPS: I enjoy writing short stories, poetry, and blog posts about the writing life. I am passionate about writing novels, specifically historic novels, set in exotic locales with Spanish-speaking characters who experience mystical, spiritual, and ultimately, life-changing awakenings…or not. MR: So I’m guessing things like that don’t happen in your life every day. Therefore, where do you get your ideas? EPS: I get my ideas from listening well, people watching, day dreaming, being present, reading, and traveling. MR: And when you sit down to write, are you a plotter or a pantser? EPS: I wrote my debut novel, A Decent Woman, in six months with a brief outline; nothing extensive. Just recently, my new editor, Ally Bishop, encouraged me to outline my novel which helped tremendously with the plot and timeline. I now see great benefits in plotting, but my pantser side reappeared with my second novel, Finding Gracia. What seems to resonate with me is writing the first draft, and then focusing on plot, story arc, and momentum in the second draft which I write shortly afterward. I must have the initial freedom to write without worrying about rules of grammar, etc. My friends will tell you this is how I live my life, as well. I’m 57 years old, and most rules are becoming suggestions the older I get! MR: That totally makes sense. So many writers are held back by that internal editor who tells them, “You can’t say that!” I agree that writers need the freedom to write whatever we want in our first draft. So can you tell us a bit about A Decent Woman? At the turn of the century, male-dominated Puerto Rico was a chaotic, uncertain, and hard place for a woman to survive; especially one with a secretive past, which if discovered, threatens her future. With twenty years of slavery behind her, Afro-Cuban Ana Belén is a midwife who reverently fuses Catholicism with her vivid ancestral Yoruba traditions. Ana forms an unlikely friendship with a young Puerto Rican socialite that sustains them through years of parallel tragedies, and the betrayals of men who want to rule them. 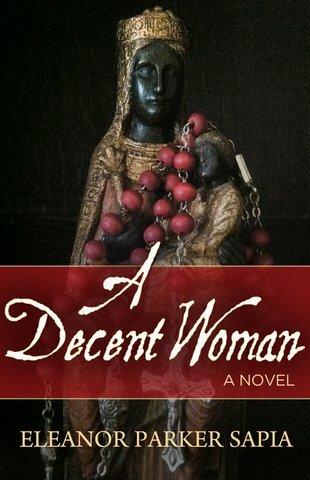 Spell-binding and insightful, A Decent Woman is a story of fate, choices, sacrifice and love. The combustive backdrop of 1900 Puerto Rico after the United States invasion of the island offers a provocative look into the complex lives of women of that era. MR: Well I can’t wait to read it. So, A Decent Woman is being published by Booktrope. Have you ever self published or worked with other publishers? EPS: After two years of querying agents, and a few false starts with two great agents, I set my sights on small publishers. I queried a dozen publishers and a friend mentioned her publisher, Booktrope. I sent Booktrope my manuscript and at the same time, I created a self-publishing account with Amazon as a Plan B. For some reason, I couldn’t click the button to download my manuscript. Something told me to wait, and a month later, I received a letter of acceptance from Booktrope on February 14, 2014. I am fortunate and blessed to be part of the fantastic Booktrope family, and am honored and grateful they believed in me and my story. MR: What an amazing Valentine’s Day gift! Aside from writing, what other things do you enjoy doing? EPS: Spending time with my adult children and family is what I enjoy most in the world. I’m happiest when they are around me, especially now that my sons live in Europe, and my daughter lives two hours away in the Washington, DC area. I’m fortunate and blessed my kids still like spending time with me, so our time together is precious. I love doing anything that involves being outside in nature, and as an island baby born in Puerto Rico, I must live on the coast or near a large body of water; living land-locked drives me bonkers. Hiking, gardening, painting, reading, and black & white photography are other activities I very much enjoy. MR: I understand that need to live near water, Eleanor. I don’t think I could stand to live more than an hour–or maybe two–from an ocean for long. So what’s next on your writing agenda? EPS: I’m in the final edit stage of my debut novel, A Decent Woman. We are looking at a book launch in late October 2014. The book marketing, to include social media, has already begun, and we’ll be in full swing before and after the launch. I’m excited to see my book in print, and more excited to share it with the world. I’m looking at the sequel to A Decent Woman, Mistress of Coffee, coming out in 2016. I am currently writing my second historical novel, Finding Gracia, set in Spain, on the medieval pilgrimage route of El Camino de Santiago, also known as The Way of St. James. I walked El Camino with my children in 2005 right about my marital separation. This novel is dear to my heart, and tough to write. MR: Yes, I can only imagine. Anything else you’d like to share? Even today, spiritism and Santería are common practices in Puerto Rico, and many Caribbean islands, to include the United States. Many Puerto Ricans fuse their Catholicism with the vivid, ancestral traditions of the Yoruba faith. I’ve been known to light candles, put pennies in a bowl of water in honor of Santa Clara, as well as reciting St. Michael’s prayer, all done for personal protection. MR: That’s really interesting. The older I get, the more I think there’s no one path to spirituality and health, and that everyone needs to find their own way of making sense of this world. Thank you for sharing so much with us today, Eleanor. Best of luck with your final edits, and I’ll make sure to let my blog readers know when A Decent Woman is released. EPS: Thanks for a fun interview, Mary! You asked great questions! This entry was posted in guest post, interviews, Uncategorized and tagged A Decent Woman, author interview, book launch, Booktrope, Eleanor Parker Sapia, new fiction, women's fiction. Bookmark the permalink. I’m so incredibly happy for your Ellie. You deserve all of the good fortune that comes your way. I wish you best of luck on the release of A Decent Woman and I can’t wait to meet you face-to-face later this month! Great interview Mary – best of luck to Ellie on her release! I went to a psychic at age fifteen but nothing she predicted came true! Mary, thanks so much for having me on your blog today! I enjoyed your great questions! Hi Meri! Thank you, thank you for your good wishes! I can’t believe I’ve known you since 2008, and we’re only just now meeting, but we are!! I’m very excited 🙂 See you soon! Hi Jan! Thanks for the kind words! I’m very excited! The psychic was on the money for me! She told me things that at the time didn’t make sense, but it all came to pass 🙂 As she was my grandmother’s friend, I was able to see her in my 30’s, and the same thing-all true. She was good! Ellie, it was great having you as a guest! And I’m jealous that you and Meredith are going to meet and hang out. That sounds like a lot of fun!! Many thanks to Mary Rowen for a fantastic interview! Good interview. Kudos both to interviewer and to Ellie. I really like the new cover for the novel. Thank you, John! I love the new cover as well. Great interview. I am very proud of you. I cannot wait to read the book ! Congratulations ! Looking forward to curl up with what promise to be a good reading!